Bethlehem Bible College is familiar with diversity. Students, staff and volunteers come from different backgrounds, denominations, and even different ethnic groups. One of the small ethnic groups that strongly exists at BBC are the Syriacs. We have seven staff members and three students. One of them is the priest of the Syriac Orthodox church in Bethlehem, Father Butros Nimeh. I interviewed Father Butros, and asked him about Syriac history, culture, language, genocide, immigration, and existence in Palestine. Syriacs are Arameans who are related to Aram, who is the fifth son of Shem, the son of Noah. 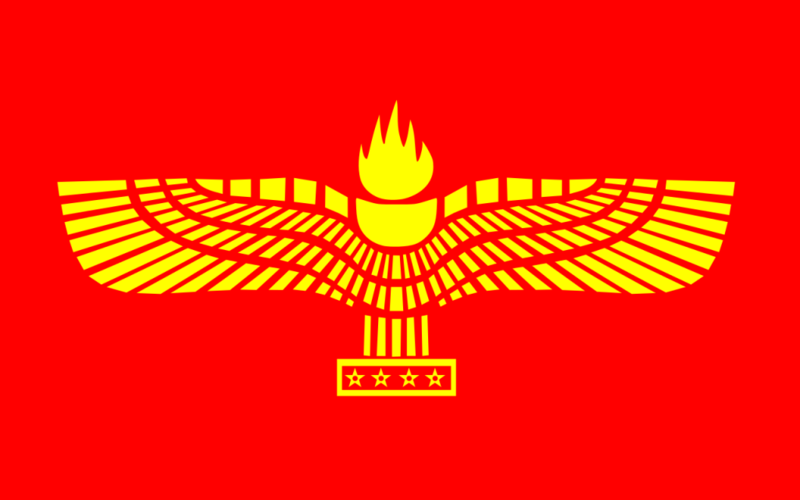 Arameans lived in Mesopotamia near the Euphrates. They were pagan Aramaic kingdoms, and they converted to Christianity in the first and the second century. After that, the Antiochian Church was established in Antioch by Paul in 37 AD. After they became Christians, they called themselves Syriacs, as an extension of greater Syria at that time. What makes the Syriacs special is their language. Some books in the Bible have been written in Aramaic. And that shows the authentic existence of the Syriacs in the Middle East, especially the Holy Land. Jesus spoke Aramaic, which was the spoken Hebrew at that time. 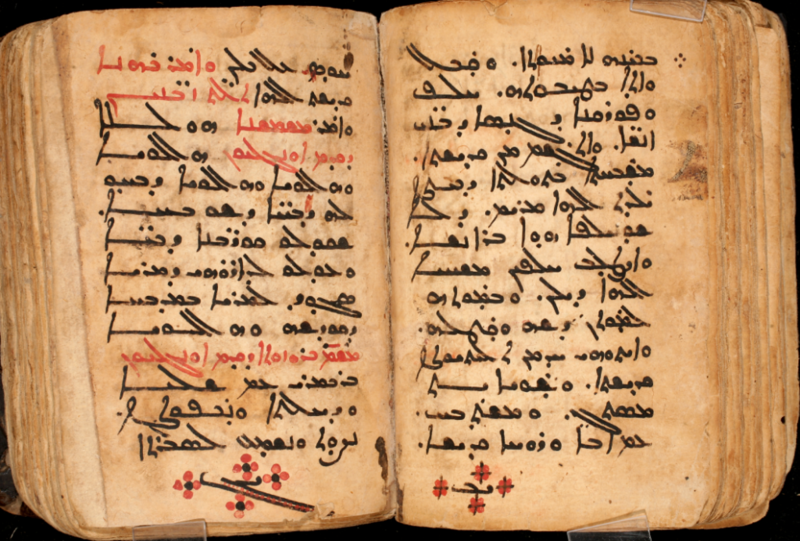 Syriacs were a link between the East and West by translating many Aramaic and Greek books into Arabic, and vice versa. Throughout the ages, there has been persecution against the Syriac Christians because of their faith. The Syriacs didn’t have their own state to protect them and their rights. Syriacs had Aramean kingdoms, but after Christianity, these kingdoms faded away. For example, Catholics, Greeks and Armenians had their own states or empires that protected them during times of persecution. Syriacs did not have this kind of entity to protect them, thereby leading to an inability to fend off persecution when it came. One of the largest massacres documented in history was the one by the Ottoman Empire, which reached its peak in 1915. It is also known as Sayfo, a Syriac word which means ‘the sword.” This signifies the weapon that was used in the Ottoman’s systematic killing of Syriacs. There are no accurate statistics about the total number of casualties, but scholars estimate the number of Syriac victims ranges between 250,000 to 500,000 people. They lost their land and monasteries in Turkey. 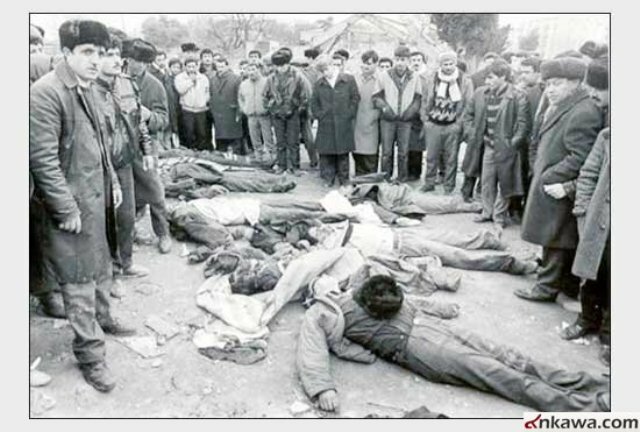 The massacres were the main cause of Syriacs dispersing around the world. Syriacs in Palestine are from the southern part of Turkey. Their ancestors came here around one hundred years ago. There were Syriacs in the land prior to this as well as we have proof of this in the monastery of Saint Mark in Jerusalem. Archaeologists discovered stoneware in this church from the 6th century which had Aramaic writing stating that the place was the house of John Mark, son of Mary, where Jesus and the disciples had the Last Supper. That means that this church belonged to the Syriac Arameans. 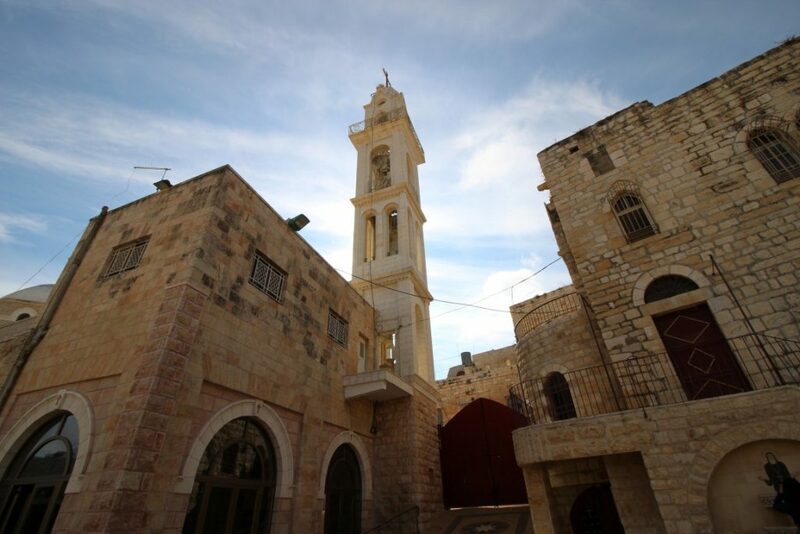 In 1922, more Syriacs came to the Holy Land, and they established a small Syriac church, still hoping that they would return back to their homeland. Knowing the difficulty involved in going back, they bought land, and established the current Syriac church in 1926. Until today, Syriacs are praying in this church and existing in this land as part of it. In Bethlehem, we have about 1,200 Syriacs. There are also Syriacs in Jerusalem, Jericho, and Nazareth in small numbers. In total, the number of Syriacs in the Holy Land reaches to 1,500 people. They consider being in the Holy Land as a blessing to them, although they will never forget their roots, culture, heritage, and their ancestors who shed their blood for their faith. They are proud of this. They are also proud that they share in the same language that Jesus himself spoke. It is an authentic, beautiful, and old language. Syriacs are keepers of a very ancient heritage, and they see this as a blessing. 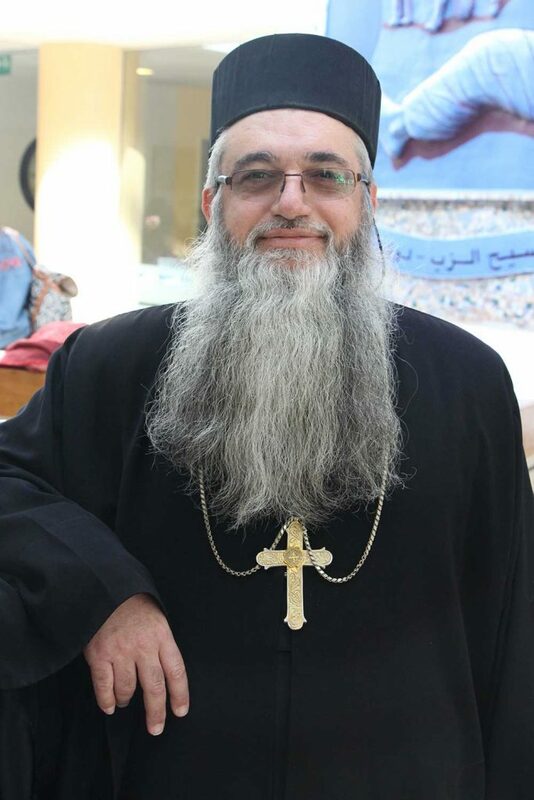 In 2003, the Archbishop of the Syrian Orthodox Church established a school in Beit Jala called Saint Ephraim school. They teach Syriac in this school for Syriacs and non-Syriacs. They give the principles of the language, including the alphabet, grammar, and Syriac worship songs. In addition to the traditional work of the church and the youth groups, they go one step further in making sure to give Syriac language courses. One other thing, that Syriacs love is their flag, that has many symbols in it. For example, Red Symbolizes the blood of Jesus Christ, and the blood of the Syriac martyrs who died for their faith. Yellow symbolizes light. The flam symbolizes Holy Spirit. And the four starts symbolize the four Aramean kingdoms. Syriacs living in Palestine cannot deny their Syriac ethnicity. It is their blood, heritage and culture. Further, they do not deny being Palestinians either. They have lived their whole lives in Palestine; they love it, and belong to it because they have been born and raised in it. As for their original land in southern Turkey, even though there is no direct physical connection to it, this affiliation is more emotional than physical. They don’t separate their Palestinian nationality from the Syriac one, or vice versa. They both run in tandem as a parallel line that does not cross or separate. Syriacs still dream of having their own state because they still have many lost properties like monasteries, churches, and houses back in Turkey. They have been taken by the Turkish government and people. No one will defend these properties unless there is a state and a government. In addition, the existence of a state enhances the existence of the people. 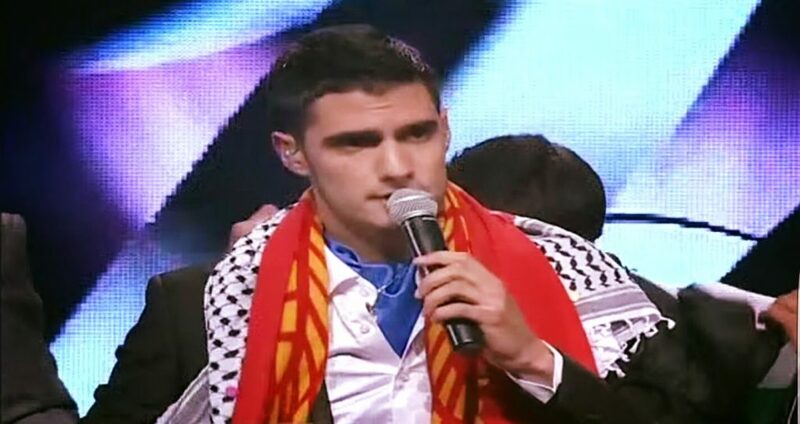 Yacoub Shaheen, the Syriac Palestinian who won Arab Idol 2017. Wearing the Kufiya and the Syriac flag. As I mentioned before, we have seven Syriac staff, and three students. Areej is the Development Officer at BBC. Her grandfather was just a child when he first came to Palestine. She, too, cannot separate her Syriac identity with her Palestinian identity. They have the same importance in her life, and have shaped her personality. Both her parents are Syriacs and speak Aramaic. She does not see herself as an Arab, but that doesn’t cancel her Palestinian identity. She believes in the Palestinian cause, speaks in peace conferences, and defends Palestinian rights in their land. Nowadays she is more interested in Syriac history, and is studying it more and more. Razan, Assistant to the Academic Dean at BBC, was born in Bethlehem, but her grandfather fled from Turkey and came to Bethlehem. She introduces herself as a Christian Syriac Palestinian Arab. She sees Palestine as her homeland. Her father is Syriac, but her mother is not. Her father speaks, reads and writes Aramaic, but she and her siblings do not speak the language. She sees the Syriac identity as a broken one without a homeland. What an honor to see that after one hundred years since leaving their country, Syriacs still strongly exist, and continue to guard their language, culture and existence. They maintain all of this without separating themselves from the Palestinian identity. They are people who are proud of their past and history, and see the pain and persecution their ancestors faced as a crown of honor that they will inherit the next generations.